Breaking News: We need your support now more than ever. 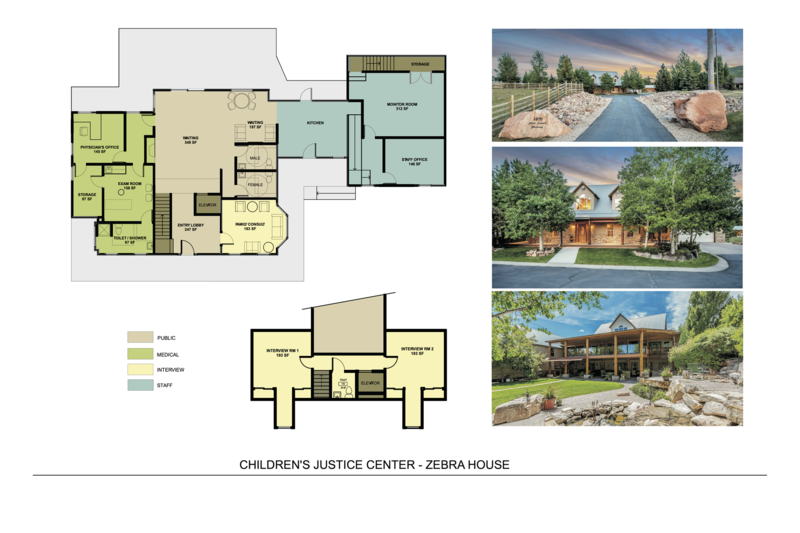 Yes, the Community for Children's Justice, the friends board for the Summit County Children's Justice Center (CJC), recently purchased a new property for the CJC, but we cannot serve families in the new space until we complete required construction. With your generous support we have raised almost $900K but we need an additional $1.8M to complete the retrofit and build our endowment before we can open the doors to our community. Child abuse cases in our community have doubled since the new center was purchased (click here to read more) but we can't open our new facility without your support now. Click here to watch a video to learn more about our CJC's new home. Click here to donate now. Click here to learn more about our capital campaign. Utah has the highest reported incidence of child abuse in the country. 1 in 4 girls and 1 in 6 boys are sexually abused before the age of 18. Only 2% of the perpetrators are a stranger to the victim, which means the other 98% are friends, relatives, caretakers, or family acquaintances. Sadly, our mountain town is no exception to these statistics. Fortunately there is a place where families can begin to put their lives back together. Since its inception in 2012, the Summit County Children’s Justice Center (CJC) has served over 1,500 children of abuse and their families and the number of cases continues to increase annually. Child abuse affects EVERY area in Summit County. It occurs regardless of socioeconomic status, educational background or ethnicity and the incidence is increasing as our community grows. While the CJC provides a great service to Summit County, the office space we operate in is temporary. We currently operate out of a county building next to the DMV that lacks the privacy required to heal with dignity, and lacks the space to effectively provide the mental health services to help children heal. Thank you to the following organizations for your support! You can also donate and "Like" us on Facebook by clicking on the icon below.